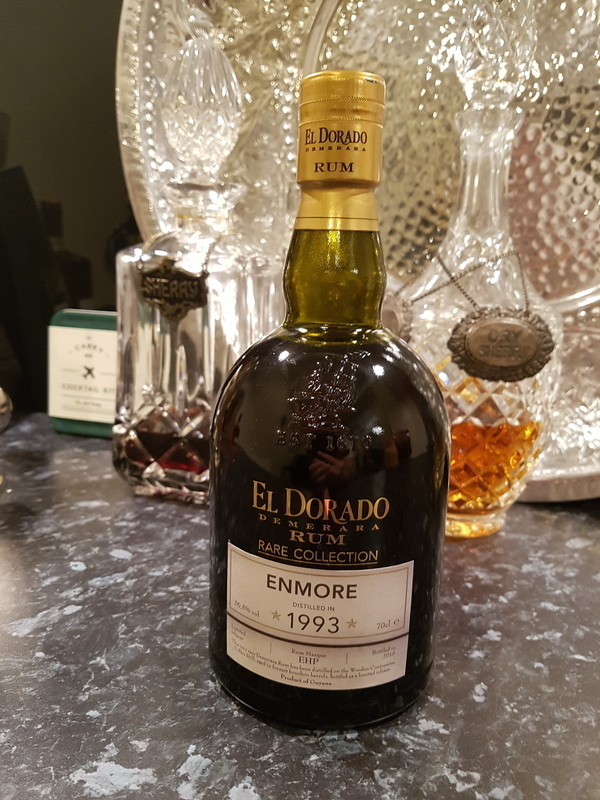 Have you found an online vendor selling El Dorado Enmore 1993? I like all the standard rum from El Dorado (12, 15 & 21) and of course the 25yo which is fantastic. Tested this one during Birka’s rumcruise 2018 and didn’t like at all, but to maybe excuse myself I think it’s quite difficult to test that many different rums during a rather short time. Deze vond ik het lekkerst van de "Rare Collection". Abv van 56,5℅. Karamel, vanille, rood fruit, rozijnen en hout. Lovely nose with light caramel, oak, sweet tropical fruits and something mineralised and slightly spicy and chalk like. As the rum enters my mouth, again I pick up a mineralised character, light caramel and wood, but also subtle notes of cherries and ripe plums. It’s very, very good if a little light bodied, which is surprising, considering 21 years of ageing. The finish lingers for a good while with a warming sensation of the fruity notes mentioned above. Given the 56,5% vol. it’s very refined, but overall I still find it a little overpriced. Manage to get a sample of this. The nose is quite sweet, but not as cloying as the usual15 yr old, rich with some red winds notes surprisingly little alcohol fumes. Unlike El dorado standard expressions the taste is not overly sweet at al with some good complexity with a medium/long finish with quite a bit of oaky spicy dryness on the finish. Although good it is way to pricey for me to justify to buy a full bottle of this. Smager godt, er dejlig afbalanceret, men lige lovlig krydret i prisen. Purchased a sample of this rum for around £13 from Master of Malt the bottle usually retails fot £175. This rare expression from el dorado is divine. A definite finishing rum for the end of the night as it's easy to get drunk quickly with its hidden 56.6% abv. It's a fine example of guyanese demerara rum a wonderful one at that. It reminds me of the el dorado 21 but much more powerful. It does not feel at all the strength and is so easy to drink. It's simply a wonderful expression! Last 2 drinks for tonight were back-to-back testing of El Dorado 1993 Enmore versus 1999 Port Mourant. Both have a very nice bottle and label designs. Both are very expensive, so the bar is high. 1993 Enmore is almost amber in color, very interesting. Lots of wood to the nose. Tropical fruits packed with alcohol to the palate. Short but intense burn at the end. Scent: Intensive scent of wood and spices with notes of licorice, vanilla, espresso coffee, brown sugar and almond. Very complex. Taste: Wipe with soft tones of oak and sweet, ripe fruit such as apricot and peach. There are streams of vanilla and honey that balance the spice from the tree. Une élégance folle pour cet enmore 1993 ! Helt klar bra men kanske inte prisvärd. Sötman bär inte upp alkoholhalten hela vägen. Bra smak i övrigt. Expensive but worth a crack if you get the chance. Oak, definitely can feel the 21 years of aging here. Not overly sweet. Nu begynder der at ske noget, rigtig meget punch i den her bandit. 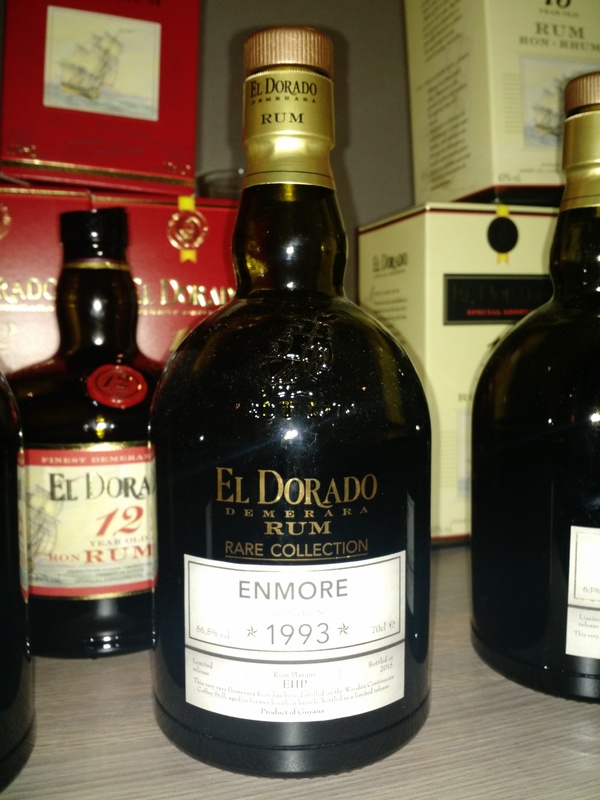 El Dorado Rare Collection Enmore 1993 - 56.5% ABV. Very interesting! I'm not a huge fan of El Dorado's standard offerings, but this one's a real treat. Green on the edges? The nose is full yet subtle at the same time. Dusty machinery, orange, oak, anise, cherries, and maybe a touch of smoke. On the palate, very hot! 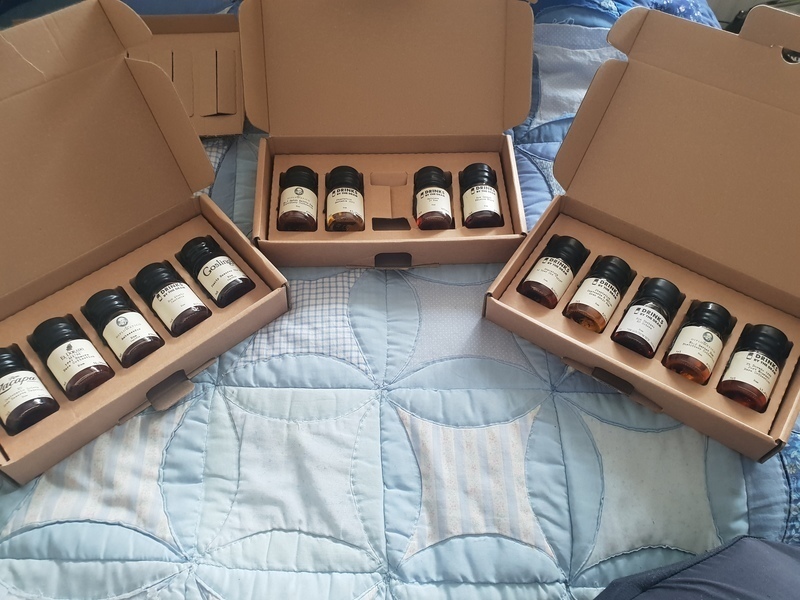 More so than most cask-strength rums I've tried. (This surprises me, as I assume there's some dosage here to help round things out. I could be wrong.) There is sweetness, along with vanilla, oak, more machinery, rubber, cherries, and a slightly bitter note. It's not totally unlike a gentler, more approachable Caroni. Very oily mouthfeel. This is some good, Royal-Navy-worthy rum! Det var 1996 som jeg smagte. Prisen/smag taget i betragtning er den lidt dyr. En fatkaraktär som visar att denna är lagrad länge på fat och i och med den högre alkoholhalten den har så gör lite vatten i att smakerna ändras rätt avsevärt till det bättre. Kvalité rakt igenom och god men inte värd pengarna om man säger så. Ger dock en känsla av klass och ser ut som den kostar. This is nothing special. High ABV, and the burn gives it away. Hard hit of alcohol on the nose. Woody, a mineral flavor. Meh. I'd keep tasting for a better description, but I just don't like it enough to bother. Le nez est fruité et sucré, il y a aussi de la réglisse. Après un temps d’aération la vanille est plus présente. L’attaque est plutôt sèche et monte progressivement en puissance, l’alcool est bien présent et réchauffe. Coté saveur c’est du cuir, vanille et caramel qui prennent le dessus, avec un boisé qui restera pour la fin de bouche avec une légère amertume. Attention aux nostalgiques de l’époque ou Luca Gargano se servait dans le stock de DDL, ceci n'est PAS une sélection de Luca, alors n'attendez pas de ce rhum d’être du Gargano. With a nice amber color, this rum has notes of candied fruits like prune and apricot. There are also woody notes and after a long aeration, the exotic fruits that arrive. In the mouth, the woody takes the top with always the fruits that disappear slowly. The end is very long always on the wooded with light notes of tobacco. Great rum but expensive.